The family tradition was revived again yesterday. 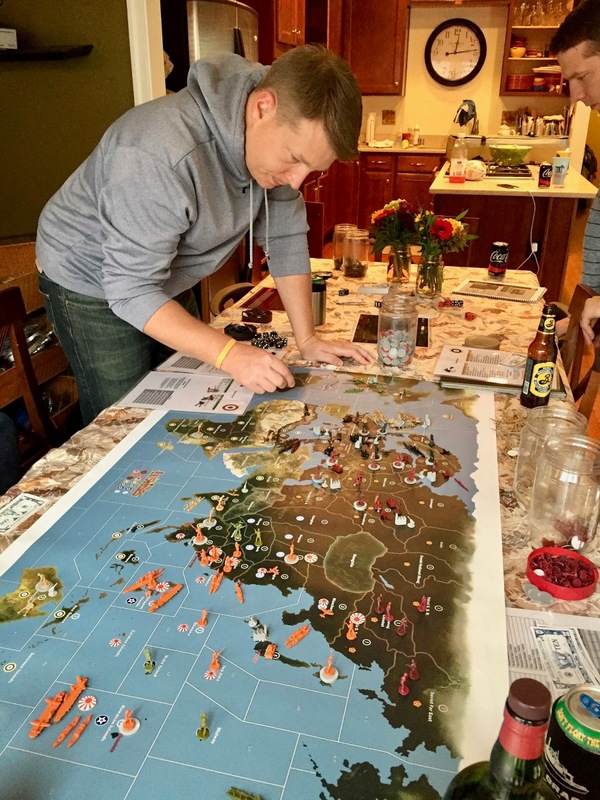 While the women of the family braved the crowds of the Black Friday shopping melee, the guys gathered around a dining room table and replayed World War II using one of the versions of the game Axis & Allies. There are a different versions of the game and we own and have played most of them. Black Friday is our once per year "guy day" spent trying to recreate history. This year we had a new player which was exciting because it reminded all of us how complex the game was the first time we played. Although we played for 8 hours, the game was called a draw because evening activities were about to begin. I fully believe that the Allies would be the eventual winners. It is a Black Friday tradition! It brings the guys in the family together while the women face the crowds and the stores.